The relationship between Sweden and Armenians has a history that goes back a long way in terms of Swedes who visited Armenia and vice versa. However, it was not until the 1970s that one can talk of a larger immigration and the presence of Armenians in Sweden, which would eventually lead to the founding of the Union of Armenian Associations in Sweden in 1993. Here is a brief history of the genesis of the Armenian Community in Sweden and how the need for a national association emerged. Sweden’s relations with Armenia go back a long way. The first documented encounters are from the 10th century when the Vikings established trade routes along the Dnieper River through Russia towards the Black Sea region. They traded with goods which came from the Far East along the Silk Road, thus passing through Armenia towards the Black Sea coast. There are, however, few sources about Armenian presence in Sweden before the 17th century. For it was precisely during the 17th century that Armenian businessmen from the Ottoman Empire began to trade with Sweden. Sweden’s encounters with Armenians would be sporadic in the coming centuries. In 1714, King Charles XII, brought a trade delegation from the Ottoman Empire, including some Armenian financiers and merchants, to Sweden. In 1798, the Armenian Constantine d'Ohsson arrived to Sweden and later became a highly successful Swedish diplomat. Another interesting person is Ohan Demirgian who was equerry to Charles XV at Ulrikedal Castle in Stockholm. Between 1860 and 1917, the Swedish immigration policy was unregulated but according to Swedish law could dismiss people. Between the years 1900 and 1914, there are records of 363 deported Armenians from Sweden, mostly immigrants from the Ottoman Empire and the result of the massacres that had been carried out in Armenia during 1894-96. 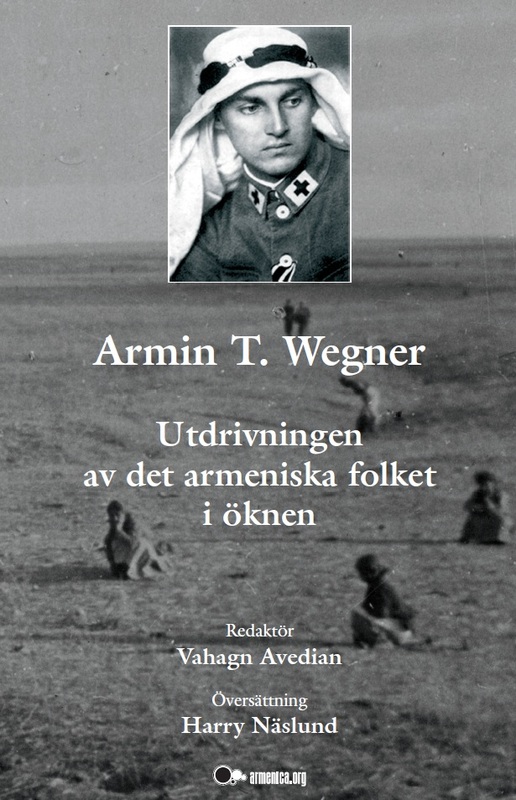 Worth to note is that although the Armenian genocide of 1915 created a large Armenian diaspora, there is no concrete evidence that a larger number of Armenian refugees would have arrived to Sweden. From the late 1940s and up into the mid-1970s, there was an extensive labour immigration to Sweden in response to a direct demand from the Swedish industry. Recruitment trips were made to Yugoslavia, Italy, Turkey, Greece and Austria, countries which all had Armenian minority groups. In 1952 an Armenian newspaper wrote that there were about ten Armenian families in Sweden. The migration of Armenians to Sweden would increase considerably as a result of wars and revolutions in the Middle East during the late 1970s. The civil war in Lebanon (1975-1990) and the Iranian revolution (1979 ) were two major events that contributed to a larger number of Armenians immigrants to Sweden. Another precipitating factor was the dissolution of the Soviet Union in 1991 and the regained independence of Armenia. The conflict with Azerbaijan over the Armenian populated region of Nagorno-Karabakh and social difficulties in Armenia since the independence have given rise to a new wave of Armenian immigrants to Sweden. The Union of Armenian Associations in Sweden was founded in 1993, based in Uppsala. The aim of the organisation was to collect the various Armenian organisations and associations in the country under a single national central organisation. In 2006 the headquarters were moved to Stockholm in order to better balance the coordination of the work of the member associations and the activities and contacts with the Swedish authorities and other cooperating partners. The union later decided that they would give out the journal Nor Horizon to raise awareness about the Armenian culture and history. The number of the members in the Union varied over the years but also its activities have evolved and currently comprises among other scout activities, sports clubs, cultural associations, academic associations, youth associations and aid and assistance associations. In anticipation of the opening of the Armenian Embassy in Stockholm, the Union has also to some extent assumed the role of a contact between the Armenians and the Armenian Foreign Ministry. The Union also works to disseminate information concerning the Armenian genocide of 1915 and has organised a number of seminars and conferences. The Union has also published a number of brochures and other information material, among others two books: The Armenian Genocide 1915: Questions and Answers (2010) and The Conflict of Nagorno-Karabakh (2012). 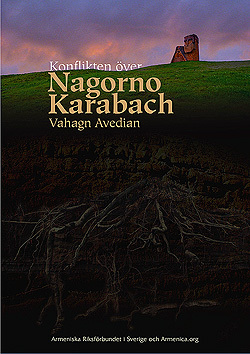 Both publications are available online as own websites: www.genocide1915.org and www.mountainous-Karabakh.org. In 2010 the Swedish Parliament recognised the 1915 Genocide. The recognition process was partly driven by the Union’s longstanding work in the subject. This work is carried out continuously in cooperation with other national organisations representing other minority groups affected by the genocide (Assyrians /Syrians/Chaldeans and Pontic Greeks), Swedish organisations and agencies such as Living History Forum, Swedish schools, colleges and universities as well as the parliament and Swedish political parties. The Union of Armenian Associations in Sweden currently consists of fourteen member associations scattered all over Sweden and is constantly linking new contacts with Armenians in Sweden in order to better coordinate their activities and integration into Swedish society and the increase of the latter's awareness about Armenia and Armenians .